VETS UNITED - Welttierschutzgesellschaft e.V. In many countries throughout the world, animals suffer greatly due to the insufficient reach of veterinary services and a lack of public awareness about animal welfare. 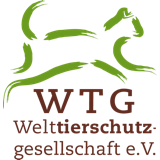 To help raise animal welfare standards worldwide, Welttierschutzstiftung and Welttierschutzgesellschaft developed the programme VETS UNITED in 2015. 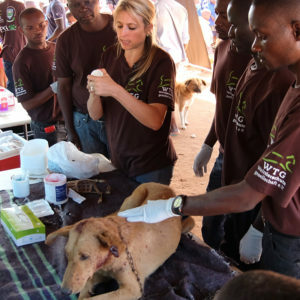 Our main goal is to support veterinarians and other veterinary professionals in emerging and developing countries. This small number of people is responsible for treating diseases and injuries as well as educating farmers and breeders about the specific needs of their animals. 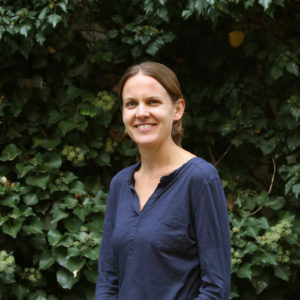 They are also often required to supervise animal transports and to offer advice to research and legislation departments when it comes to important aspects of animal welfare. Unfortunately, in many countries, the education and training programmes for veterinary medicine lack the crucial component of animal welfare. In order to effectively combat the widespread suffering of animals, students of veterinary medicine require — apart from their theoretical and practical training — a solid understanding of animal welfare issues and how these will impact their work. This is why VETS UNITED supports local universities, colleges and training centers in the process of including animal welfare in their curricula. Originally, the programme relied on veterinary volunteers from Germany. Today our local partner organizations have taken over the task of supplying vets-in-training with the best possible education to raise animal welfare standards in their respective countries. VETS UNITED offers professional and financial support until they are successfully integrated into local communities and education policies — while our local partners ensure long-term success and viability. VETS UNITED is currently active in The Gambia, Liberia, Malawi, Tanzania and Uganda.